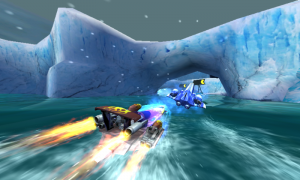 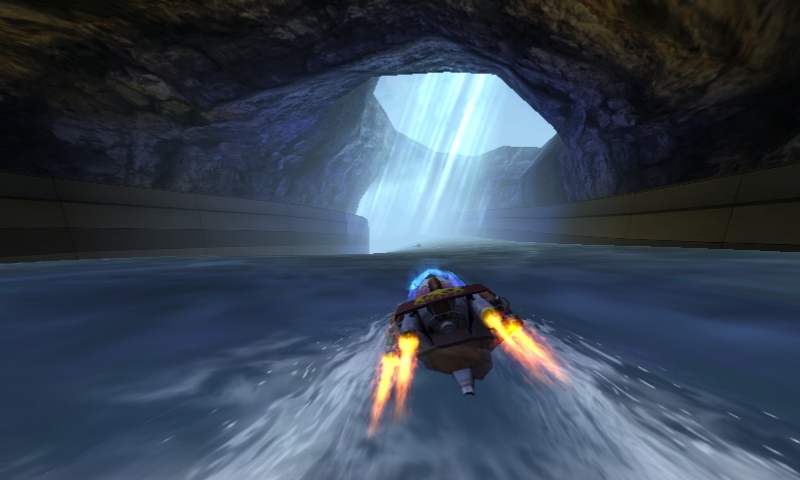 This all-new addition to the legendary arcade hit series, Hydro Thunder GO for Windows Phone 7, features amazing dynamic water physics, transformable rocket-powered boats, gorgeous visuals and over-the-top interactive environments. 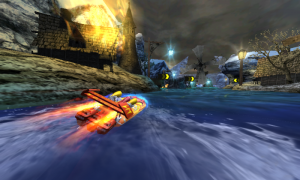 Blast through the 9 specially made Hunder Thunder GO levels filled with spectacular events and challenges; ranging from tropical pirate ship battles to collapsing ice caverns on the arctic circle, from UFO invasions to lost dinosaur islands. Along with the unlockable bonus boats there is a new Hydro Blaze expert game mode putting your Hydro Thunder skills to the test on a special track.